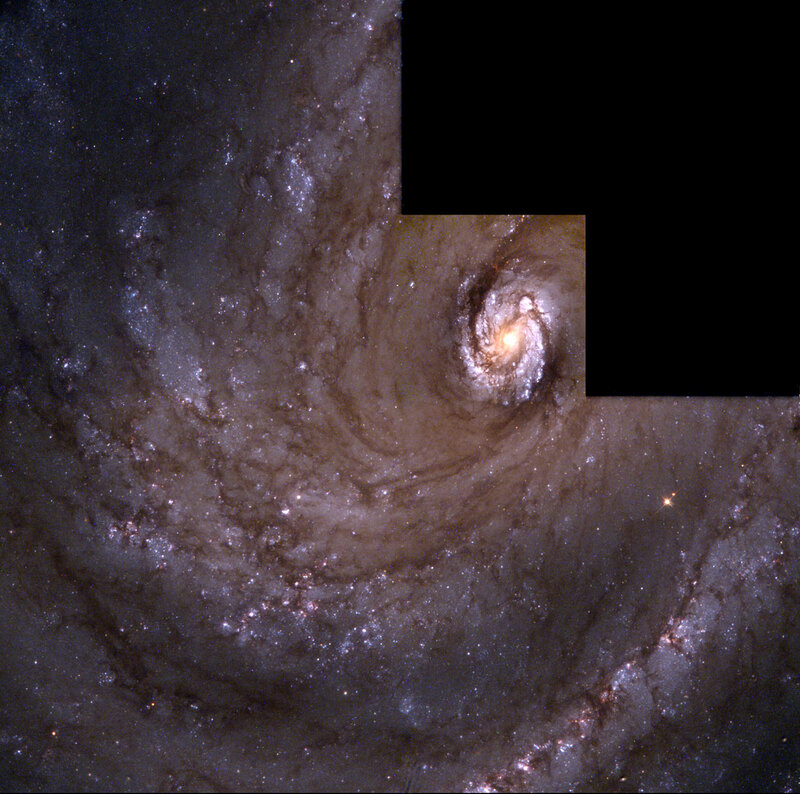 Spiral galaxy M100 indicating what is said to be a newly formed black hole. Zero volume and near-infinite density are incompatible with three-dimensional space. The Virgo Cluster harbors several galaxies that are listed in the early Messier catalog. Among them are M61, M90, and M100. 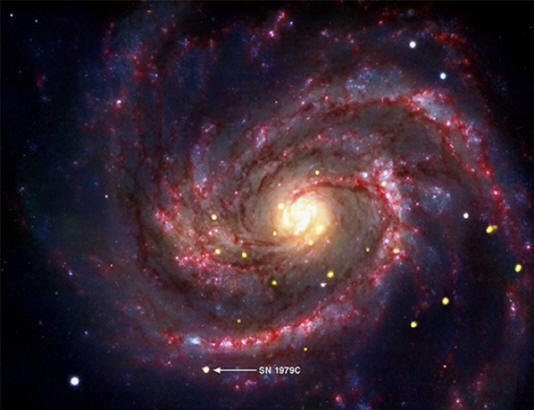 M100 is particularly interesting to NASA scientists who, in conjunction with the Chandra X-ray Telescope team, called a special press conference on November 15, 2010 in order to announce the discovery of "the youngest black hole ever detected." The object thought to be a black hole was identified by an excessively bright X-ray emission that has not varied in brightness for more than 12 years. According to consensus theories, the steady state of the radiation indicates that material is being superheated as it falls into the black hole's steep gravitational gradient. SN 1079C, a supernova, is thought to have "given birth" to the black hole because when stars more than 5 times as massive as the Sun "explode," they are thought to leave behind compacted remains that can fall in on themselves until they attain near-infinite gravity in a zero volume. 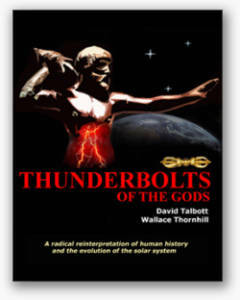 There are several opinions inherent in NASA's conclusion to which Electric Universe advocates would object. First, what is a supernova? As previous Picture of the Day articles have argued, stars do not age and die in the way that conventional understanding proposes. Stars are not globes of hot gas under pressure, they are composed of plasma. 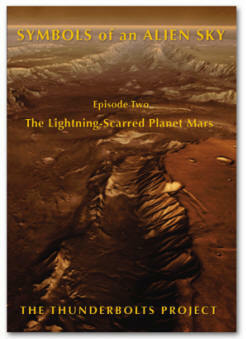 Plasma is ionized and is an electrically charged substance. Since it is ionized, it does not behave like a pressurized gas, so shock waves and gravitational instabilities are insufficient when it comes to explaining the birth and death of stars. As Electric Universe theory states, a supernova is an exploding star, but not in the conventional sense. Rather, it constitutes the explosion of a double layer in plasma. The power comes from external electric currents flowing through vast circuits in space, so the radiation from stars is due to discharges that vary in strength. 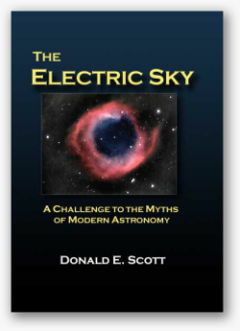 It is those electric arcs that make up the stellar corona, chromosphere and photosphere of our Sun, for instance. Supernovae are the result of a stellar "open circuit” in the galactic power supply. The result is the same as sometimes occurs in high-voltage switching yards, with extensive arcing. In an exploding double layer, the energy of an entire circuit might flow into the explosion, increasing its expansion far from the surface of the star. Radiation from the double layer shines in ultraviolet or X-ray wavelengths, sometimes emitting bursts of gamma rays. It was those effects that should have been considered when SN 1979C was first identified. Second, what is a black hole? Black holes are theorized to twist space and time so that velocity calculations yield impossible solutions. Matter inside a black hole occupies no volume at all, yet it retains gravitational acceleration so great that not even light can escape its attraction—the hole is "black" because it cannot be detected with optical telescopes. Several previous Picture of the Day discussions about black holes determined that the language used by astrophysicists is itself problematic, relying on highly speculative explanations. Ambiguous lexical labels such as space/time, multiple universes, singularities, infinite density, and other ideas that are not quantifiable have introduced irony into what should be a realistic investigation. It is assumed that matter falling into the intense gravity well of a black hole is accelerated and subsequently compressed. Material orbits the black hole at a faster and faster rate as it gradually spins closer to a point several times the mass of our Sun. The X-rays and ultraviolet light emissions are interpreted by astronomers as gas heating up from atomic collisions in the rotating disc. Finally, hot gas, no matter how fast it moves, is not the principal cause of X-rays. Laboratory experiments most easily produce them by accelerating charged particles through an electric field. No gigantic masses compressed into tiny volumes are necessary; they are easily generated with the proper experiments. There is no experimental evidence that matter can be compressed to “near-infinite density." Compression zones (z-pinches) in plasma filaments form plasmoids that can become stars and galaxies. 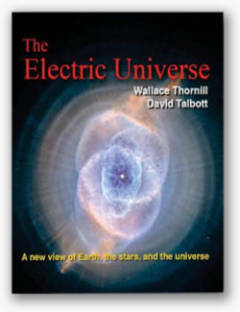 Electricity is responsible for the birth of stars, and when the stellar circuit catastrophically releases its excess energy it appears as gamma ray bursts or X-rays or flares of ultraviolet light. In the electric star hypothesis, no concentrated gravity from "singularities" is necessary. Classical understanding of electromagnetism reveals that it is more than able to create the phenomena we see, without recourse to the supernatural physics of black holes. Meanwhile astrophysicists, untrained in the physics of double layers, treat supernovae remnants as a problem in fluid dynamics, using mechanical shockwaves and gravitational pressure to provide the observed energies. It is an approach that Hannes Alfvén warned, more than half a century ago, is doomed to fail.